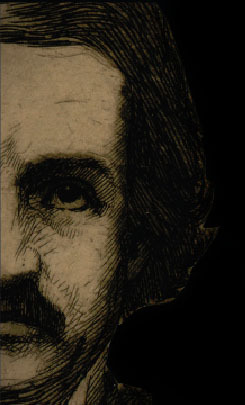 Poe spent four years writing and revising “The Raven.” Shortly before its publication, he explained to a friend how the work haunted him: “that bird, that imp pursues me, mentally, perpetually: I cannot rid myself of its presence; as I sit here, I hear its croak… the flap of its wings in my ear.” In the winter of 1844-1845, Poe sold the manuscript to The American Review for $10. Though the poem was wildly popular and its publication made Poe a household name, it did not bring financial success. 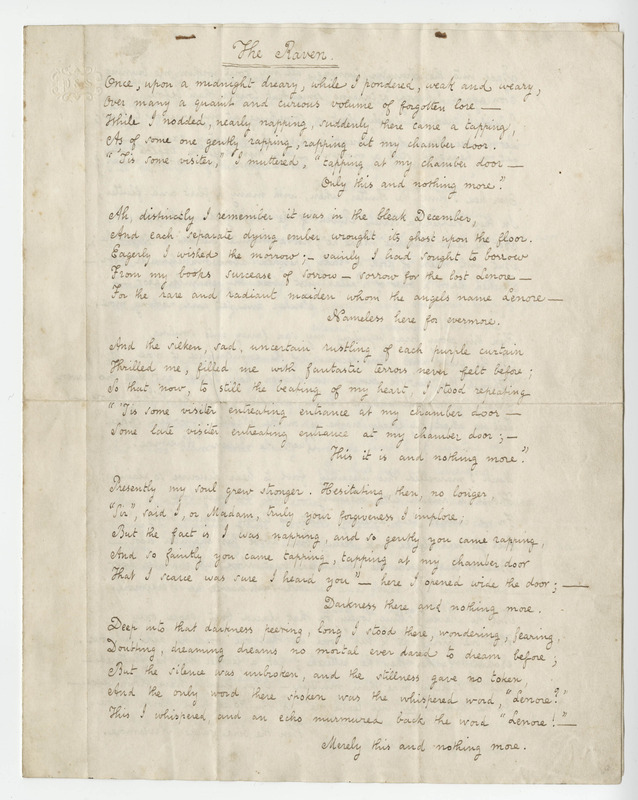 This is believed to be the only complete autograph manuscript of “The Raven” extant.